Heat oven to 375°F. Spray 13x9-inch (3-quart) glass baking dish with cooking spray. 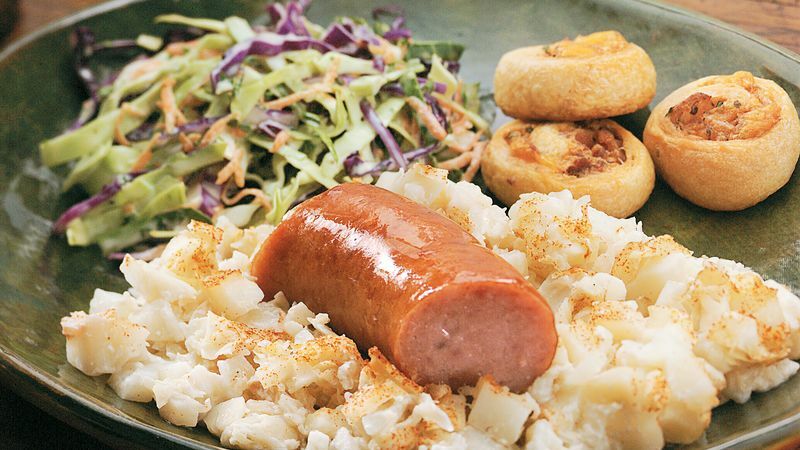 In baking dish, mix potatoes and sauerkraut. In medium bowl, mix soup and half-and-half. Stir soup mixture into potato mixture; mix well. Sprinkle with paprika. Bake 20 minutes. Arrange sausage pieces over potato mixture, pressing lightly into mixture. Bake 25 to 30 minutes longer.